Spencer’s Retail, the multi-format retail flagship of the Kolkata-headquartered RP-Sanjiv Goenka Group is on an expansion spree. As starter, it is now focussing on expanding the store count in existing clusters in east, south and north of India. In this effort, Spencer’s essentially opened one store in every 10 days and thereby augmented the retail network of the chain recently by adding 9 new stores in 90 days. With this latest round of expansion, the store count of Spencer’s has now reached 146 across 37 cities. The strength of Spencer’s lies in its retail network, which is constantly growing. 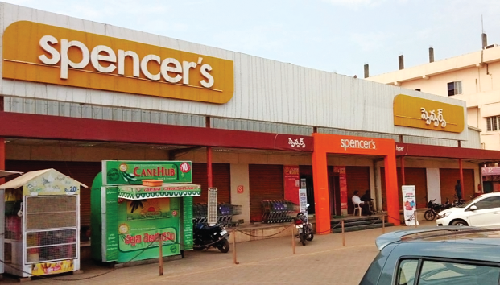 It is an endeavour of Spencer’s to become more accessible to the customers and after receiving positive feedback from the clusters it operates in, the chain is poised to explore new territories, said top Spencer’s officials. Consider this. In the most recent phase of expansion, Spencer’s came up with outlets in existing cities and its adjoining areas like Rajarhat in Kolkata, Maheshtala (South 24 Parganas),City Mall (Gomti Nagar) in Lucknow, Raheja Mall (Sector 47) in Gurugram, Sector 48 in Noida, Madeenaguda in Hyderabad, and at Howrah’s Aurobindo Mall. Interestingly, the size of these stores varies between 2,000 sq. ft. to 15,000 sq. ft. And the stores offer a wide range of assortment from different categories including fresh fruits & vegetables, fish & meat, staples and groceries, FMCG, dairy and frozen products, organic food items, dry fruits, apparels, electronics and electricals and home essentials. The product range in each of the new store has been meticulously planned to suit the tastes and preferences of the local neighbourhood. But that’s not all. Spencer’s is taking other initiatives to reach out to customers, adding a dash of history and nostalgia, which in turn is also pushing the brand. For instance, internationally-reputed bread-makers of Spencer’s in Kolkata, after a series of experiments, have successfully recreated a Roman bread that was popular in Pompeii, the city destroyed during the eruption of Mount Vesuvius in 79 AD, almost 2000 years ago. To celebrate the first 400 days of its Park Street store, Spencer’s has been offering this historic Pompeiian bread to consumers for Rs 60. Spencer’s spokesman said that all over the Western world, there is unending inquisitiveness about carbonized loaves excavated from Pompeii many years ago. This new product will also be available from 30 Spencer’s stores in Kolkata. Company’s Chief Chef pointed out that western connoisseurs continue to wonder how the original Pompeiian bread might have tasted? How was it made? What ingredients went into those loaves? Why the funny-looking sectioned bread was called “Panis Quadratus”? Shashwat Goenka, sector head – Spencer’s Retail, said that since its beginning in India mid ninetieth century bakery has played an important part in the company’s sales and it is a source of happiness that Kolkata citizens who are well-known for their historical inquisitiveness and international taste, will be tasting and enjoying a bread which had found a central place in Roman food culture. Spencer’s bakers have plans to delve deep into different types of breads. “It is indeed a privilege to first offer the historic Pompeii bread at Park Street, which was built in 1762 shortly after the Battle of Plassey. Still now, Park Street houses such historical offices like the Asiatic Society (1784) and St. Xaviers College. The 4000 sq.ft Spencer’s stores, the baby of the street, is already an inseparable part of the multi-cultural environment of Park Street. It is often referred to as India’s Oxford Street. We are proud that within a short period of one year, the footfall at Park Street Spencer’s (open from 9 am to 10 pm) has doubled. During Diwali time (6 and 7 November), the shop will remain open for midnight sale and there will be several unique bakery items, which are not available anywhere else in the city,” he said.